It didn’t take long to sell the others on the idea. On Dec. 21-22, 2018, six Marianist-sponsored schools from around the country gathered to face off for the first Marianist Classic held in LaBron James Arena in Akron. In addition to STVM, other schools included Chaminade College Preparatory , West Hills, California; Purcell Marian High School, Cincinnati; North Catholic High School, Pittsburgh; Chaminade College Preparatory School and St. Mary’s High School, both from St. Louis. 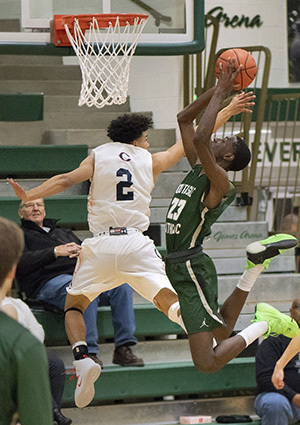 The tournament featured some fierce competition, including three overtime contests. But no trophies were awarded. Instead, the students were there to learn something about other Marianist high schools and build relationships. On Jan. 12, Bro. 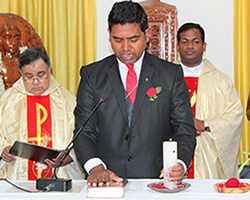 Showraiah Ravulapalli professed perpetual vows in the Society of Mary, District of India. Fr. Oscar Vasquez, provincial of the Marianist Province of the United States presided at the Mass and Bro. Bernie Ploeger, assistant provincial of the Province was the homilist. Congratulations to Bro. Showraiah! See more photos. January is the time we celebrate two of our founders, Blessed William Joseph Chaminade and Blessed Adèle de Batz de Trenquelléon. They worked diligently to renew the faith in post revolutionary France. They gathered men and women to collaborate with them to seek ways to call people to deepen their desire for God in their lives. 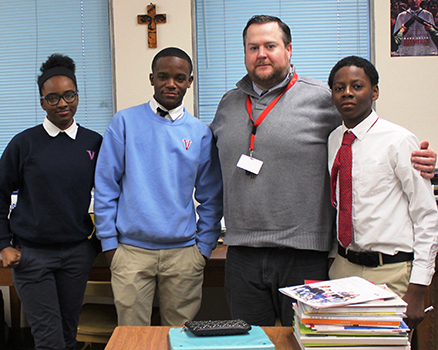 Tim Neary serves as director of the Marianist Urban Students Program at Villa Angela-St. Joseph High School in Cleveland. What specific traits in MUSP students inspire you – give you hope? Resiliency. The students that I work with overcome more than most people can imagine. Unsafe neighborhoods, moving house-to-house, inconsistency in the family structure, financial insecurity and more. In spite of this, they manage to navigate a world where they are often prejudged in a negative way, and still keep focused on their grades, appearances, character and the pride of their families. They amaze me. Any moments in the past year that have brought you joy? This may seem small, but one day my brother, who is the director of facilities at VASJ, inquired about one of our MUSP students. He told me that the student and a small group of others stayed after school to help a woman who was there to set up for an event. She was struggling to lift and carry all of her supplies. It wasn’t the act of helping her that caught me by surprise. It was what the student said after the woman asked him, “Did you miss your bus?” The student replied, “Yeah, but another one comes in 40 minutes. You needed help now.” It’s small things like this that make my day. Bro. Mark Motz wrote an article published in Today’s Catholic in which he discusses his discernment journey, saying ‘yes’ to Mary and encourages others to listen to God’s call. Read the article. Fr. 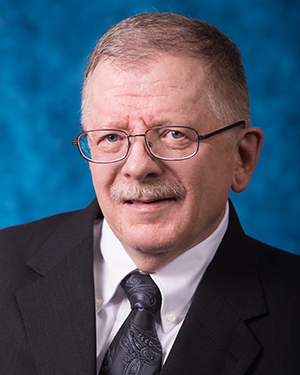 Jim Heft published an article in Engaging Aging, the National Religious Retirement Office’s Winter 2018 newsletter. In this article, Fr. Jim reflects on aging as a Marianist, while staying focused on Mary. Read the article. 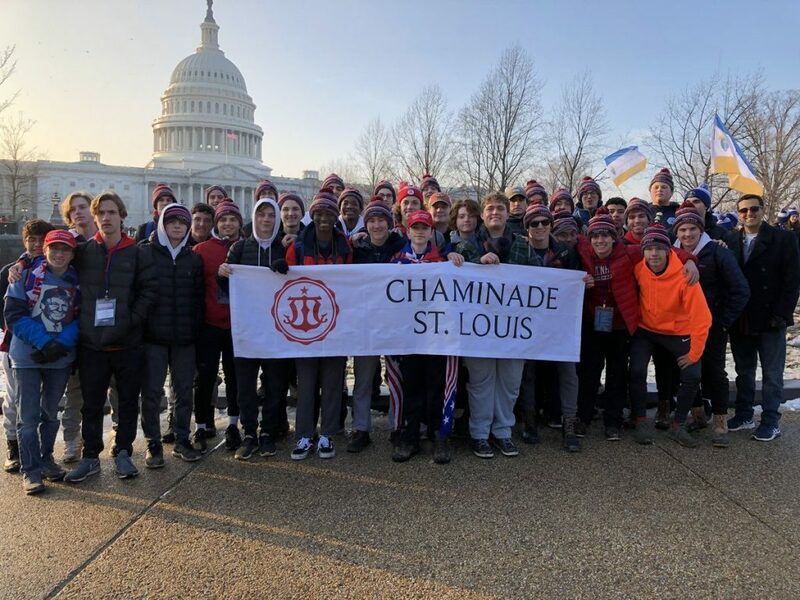 On Jan. 18, 36 students and six chaperones from Chaminade College Preparatory in St. Louis traveled to Washington, D.C., to participate in the March for Life. One highlight of the pilgrimage was listening to a testimony by Chaminade senior August Schroeder and his thoughts about what being pro-life means. Tracy Bowler, director of marketing at Chaminade, said, “August’s testimony was both inspiring and profound. His witness has been shared with our faculty and staff who are using it as a catalyst for conversation in their classrooms. I believe his witness is a true example of the amazing work of the faculty at Chaminade support of the Marianist mission.” Watch the video of August’s presentation. The Marianist Family continues to grow as three individuals made their life-long commitment as Marianist Affiliates in January. Marianist Affiliation is a unique expression of commitment to the Marianist Family and the Church. Spiritual affiliation is a special vocation in the Church and the Marianist Family of following Mary’s example — her trust in God’s promises, her openness to God’s action in her life and her faithful response to God’s call. Just as Mary welcomed all people, Affiliates are open to spreading God’s Good News to all people, welcoming them to a life of devotion to Christ’s teachings. Becoming a Marianist Affiliate is a public commitment to live a life of prayer, faith, love and service. 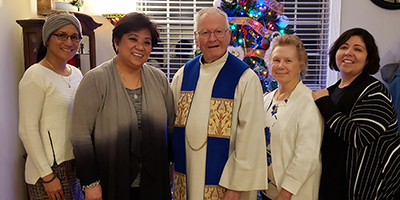 On Jan. 7, Alex and Mary Ann Datoc who both work at Archbishop Riordan High School in San Francisco, made their Affiliation commitment after a year of formation under the direction of Bro. David Betz (spiritual adviser for Marianist Affiliation, Pacific area). 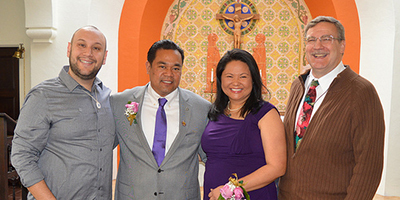 Alex and Mary Ann are members of a Marianist Lay Community that grew out of Pacific LIFE. On Jan. 11, Nannette Young became an Affiliate making her consecration to Mary during a Celebration of the Eucharist at a mini retreat. Mary is a member of the Marianist Affiliate group in Streamwood, Illinois, which is northwest of Chicago. Fr. Al McMenamy (spiritual adviser for Marianist Affiliation, Midwest and Southwest area), presided. See more photos. Learn more about Marianist Affiliates. Please join us in prayer for these members of the Marianist Family. Bro. William Chewning, 94, died Jan. 7, 2019. Bro. Bill was a teacher, high school administrator and professor whose great love for science was only eclipsed by his much greater love of faith and prayer. Read his obituary. See more photos. Bro. Bernard Stratman, 71, died Jan. 10, 2019. Bro. Bernie held many national leadership roles in the Catholic Church in the United States. 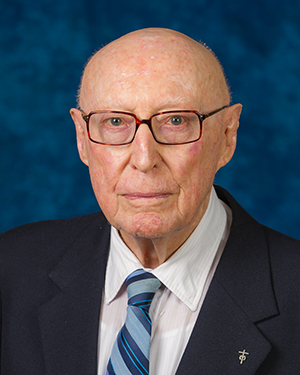 He dedicated his knowledge in communications to help guide and shape the future of the Church in the U.S. and nourished it with the Marianist Charism. Bro. LeRoy Viera, 92, died Jan. 20, 2019. Bro. 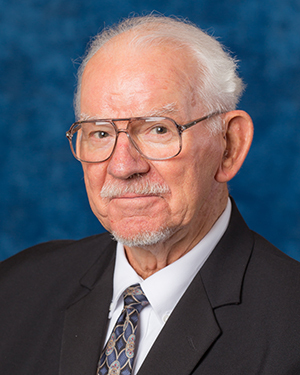 LeRoy was a veteran, a skilled carpenter and an artist who dedicated his life as a working brother serving in maintenance and construction positions in Marianist schools and ministries. He found great joy in everything he did in dedicated service to Mary. Read Fr. Allen DeLong’s eulogy for Bro. LeRoy. Fr. 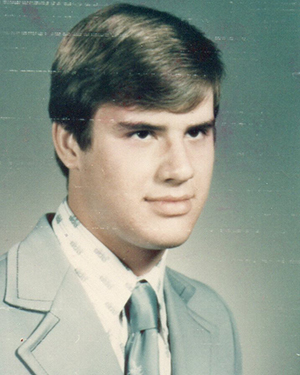 Richard Wosman, 59, died Jan. 21, 2019. Fr. Richard was many things—a teacher, a scholar and an administrator. Through his many years devoted to Catholic Education, he sought to instill the presence of God in the hearts and minds of all he served. Bro. 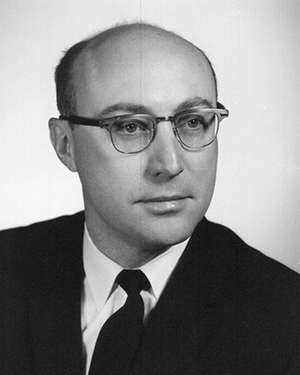 Edward Zamierowski, 85, died Jan. 7, 2019. Bro. 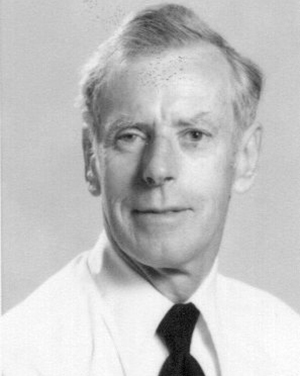 Ed was a high school teacher, professor, mentor and environmental advocate. 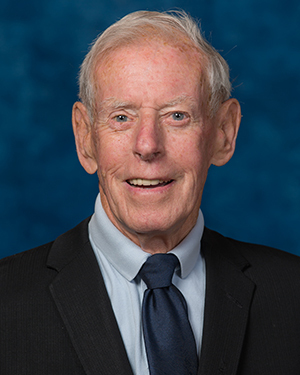 Serving in both the United States and Africa, he inspired others with his vocation as a Marianist and his commitment to service and social justice. Bro. Ed believed in the power of relationships and creativity. On Dec. 13, 2018, the Feast of Our Lady of Guadalupe, the Center for Legal and Social Justice at St. Mary’s University School of Law in San Antonio, awarded Dr. Tom Madison the Santa Maria Justice Award. 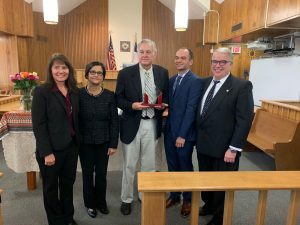 The annual award has been presented since 1996 to an individual or group that has made outstanding contributions to the advancement of legal and social justice. Dr. Madison has been the associate dean of the Greehey School of Business since 1998. 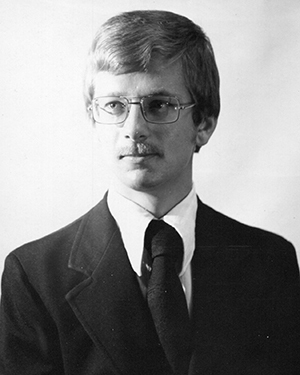 He has guided countless students through accounting courses and led his colleagues as the chair of the accounting department. 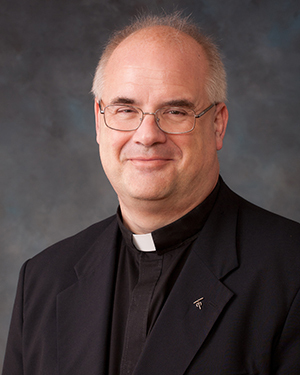 His commitment to the common good goes far beyond the campus of St. Mary’s University. Dr. Madison has served as treasurer of LiftFund, offering his expertise and time to the largest non-profit micro-lender in the United States, headquartered in San Antonio. During the past decade, Dr. Madison has led St. Mary’s Volunteer Income Tax Assistance Program (VITA) every Spring, traning 200 volunteer preparers—mostly students—to help more than 1,000 taxpayers complete their tax returns, free-of-charge. Read presentation speech. The Marianist Social Justice Collaborative (MSJC) is hiring a full-time staff person who will work half-time with MSJC as assistant director and half-time with the Marianist Lay Network of North America (MLC-NA) as administrator. For MSJC, the person will work with the director in supporting the MSJC issue teams and in staffing other social justice initiatives. For MLC-NA, the person will work with their chair and leadership team to support and implement their action priorities. Read the job description. To apply, send your resume, including a statement of why you are interested in this position, to Jim Vogt. Application deadline is Feb. 1. Editor: Bernadette McCaffrey Groner; Communications Specialist: Ann Mueller. This monthly email newsletter produced by the Society of Mary features news about the Marianist Family: Marianist brothers and priests (Society of Mary), Marianist Sisters; and Lay Marianists. Fr. 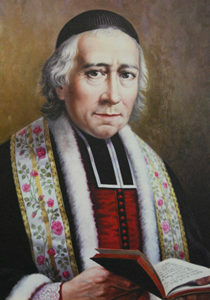 Oscar Vasquez, SM, provincial; Bro. 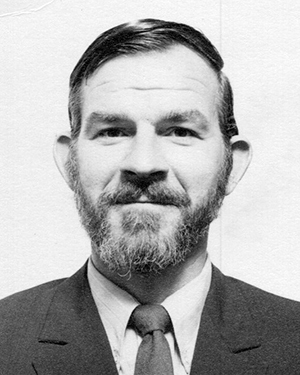 Bernard Ploeger, SM, assistant provincial. Send news, digital photos and comments and suggestions to editor Bernadette McCaffrey Groner using FamilyOnline as your subject line. BACK ISSUES/SEARCH (August 2011 and earlier): Visit www.marianist.com/fol.